Globally, we produce more than 400 million tonnes of plastic every year, according to UN Environment’s report on single-use plastics. Packaging thrown away after one use accounts for 36% of all plastic produced globally, making it the largest industry in plastic production. Most of this waste is produced in Asia. However, per person, it's the US, Japan and the European Union (EU) that generate the most plastic packaging waste. A 2016 World Economic Forum report stated that by 2050, there could be more plastics than fish in the sea if the current production trends continue. Skipping Rocks Lab aims to use natural materials extracted from plants and seaweed to create waste-free alternatives to single-use plastics, such as bottles, cups and plates. In 2013, it introduced its first product, Ooho, an edible water bottle made from brown seaweed. Now, García González and his team want to use brown seaweed to make a sustainable paper cup for takeaway drinks through a project called UCUP. The idea is to use seaweed as a bio-based, biodegradable and recyclable container in disposable food packaging, which is also waterproof and thermal-resistant. To date, paper cups are often lined or coated with plastic such as polyethylene (PE) or oil-based waxes to prevent the liquid from leaking out or soaking through the paper. This makes them difficult to recycle, says García González. In addition, cups that claim to be 100% biodegradable or compostable are usually made from polylactic acid (PLA), a polyester derived from renewable resources such as starches, which still takes a long time to break down. Instead, seaweed packaging can decompose in soil in about four to six weeks. 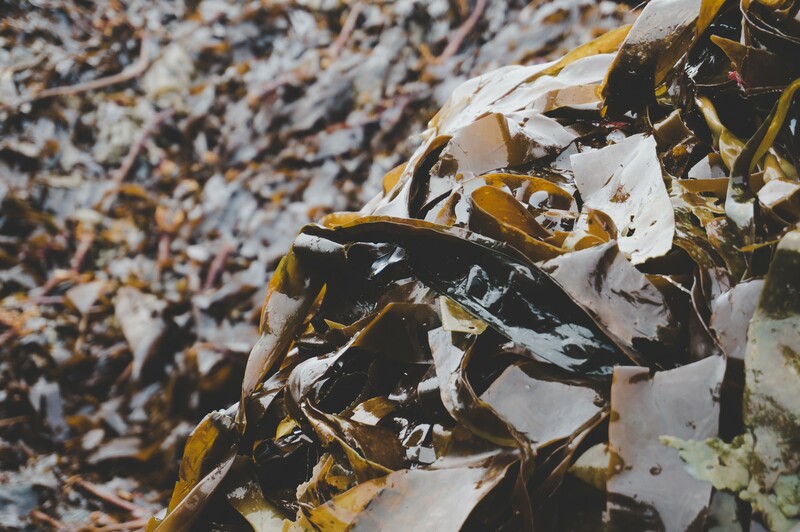 As seaweed is cheap, easy to harvest and extract, and is available on every coastline, it could replace the plastic liner inside most takeaway cups and provide the same properties as current oil-based ones at competitive prices. UCUP has completed its first stage of research to see whether there is a potential market for non-plastic disposable takeaway cups and is now planning to develop, test and commercialise the cups. García González points out that the UK government is considering taxing items such as disposable coffee cups in the same way it does plastic bags, while some coffee chains give customers a discount when they use their own cup. ‘But there are some circumstances where reusable cups are not the best solution — because you’re in a fair, for example, and you don’t have your reusable cup with you, so for those kinds of niche markets there is definitely a need for a cup that’s not of plastic,’ he said. The work is part of a concerted effort to move away from reliance on plastic, which, as well as not being easy to break down, is traditionally made from fossil fuels. He coordinates a project called SPLASH, which is looking at the potential of creating bioplastics from the naturally-occurring oils and sugars of a particular type of green microalgae. 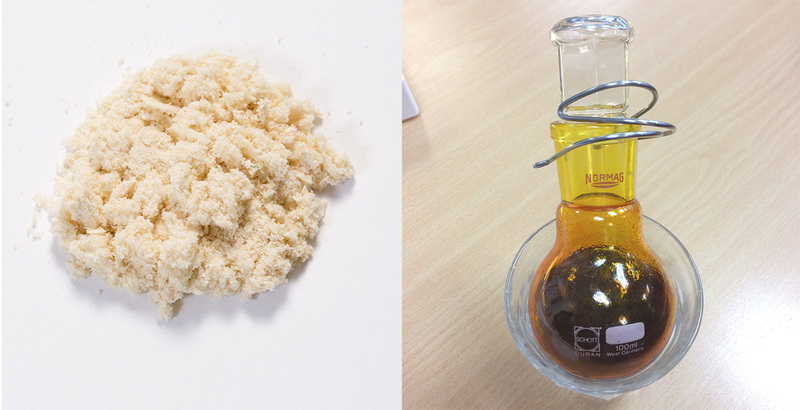 Together with his colleagues, he developed processes to produce and extract hydrocarbons and sugars on a small scale, using the microalga Botryococcus braunii, which can then be converted into renewable polymers such as bioplastics. Microalgae in general can produce numerous molecules, such as hydrocarbons for fuel, vitamins, antioxidants and pigments, but usually not in high enough amounts. Scientists are now trying to find ways to genetically engineer these organisms to enable them to make sufficient amounts of high-value molecules and extract them. The hope is to create an economically and environmentally sustainable market for microalgae-based products. ‘The main advantages of microalgae (that capture CO2) are that they can be cultivated on non-arable land, there are many species in saltwater, and they can yield valuable compounds for chemical industries,’ explained Dr Sijtsma. If you could sustainably cultivate microalgae to make various chemicals — for food to biofuels — at an industrial scale, then this would help reduce pressure on land resources and our dependency on fossil fuels that are contributing towards climate change, he says. Although more research is still needed to scale up, SPLASH took a significant step forward and successfully showed that microalgae are a viable raw material that could sustainably produce chemicals and, potentially, bioplastics in the future. ‘End-users like chemical companies now have a better understanding on how they can use biological raw materials in products, and also have a clearer picture of the challenges ahead. Existing chemicals are relatively cheap, so the production and cultivation of microalgae-based products must become more price-competitive,’ said Dr Sijtsma. Cutting down the amount of waste plastic is a priority in Europe. The EU aims to make all packaging on its market reusable or recyclable by 2030, reduce single-use plastics and restrict the intentional use of microplastics, as part of its Plastics Strategy. In October 2018 it also launched an updated bioeconomy strategy which aims to develop an economy based on renewable biological materials and resources, including alternatives to plastics.